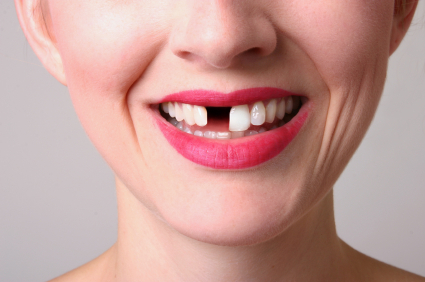 Is it your time to replace missing teeth? Please email us at info@solihulldentalcentre.co.uk or use the online form below. All our patients should leave the practice pleased with the service they have received. Consequently, we take complaints seriously. If a complaint is received, it will be dealt with promptly and courteously. The aim is to resolve the matter as quickly as possible, in line with current procedure and, if possible, to resolve the matter equably. We must learn from complaints as there may be a failure in our systems. We will adopt a 'no blame' approach when investigating complaints. We will, at all times, be polite and respect the views of our patients. The Practice Manager Denise Kemp / Principal is responsible for dealing with all complaints about our service. If a complaint is made by telephone, the member of staff receiving the complaint will make an initial record of the patient's concerns, report it to the responsible person who will check this for accuracy. The patient should be contacted to check the accuracy of the record. If the Complaints Manager is available, the patient will be asked whether they would like to see him / her immediately. Otherwise the patient will be advised when the Complaints Manager will be available either in person or via telephone. Complaints about clinical care or the amount charged for treatment will be referred to the Complaints Manager, who then may refer it to the dentist concerned. All complaints must be acknowledged in writing as soon as possible but within three working days. If the patient has not yet discussed the matter with the Complaints Manager, they will be offered the opportunity to do so. The patient will also be advised of the process we will follow in resolving the complaint. We will investigate the complaint speedily and efficiently and, as far a reasonably practicable, will keep the patient informed of our progress. Proper and comprehensive records will be kept of any complaint received as well as any actions taken to improve services as a consequence of a complaint. www.ombudsman.org.uk for complaints about NHS treatment. The General Dental Council, 37 Wimpole Street, London, W1M 8DQ the dentists' registration body. "What Everyone Should Know about Replacing Missing Teeth BEFORE Starting Treatment"
A special report by Dr Zubair Sacranie revealing what everybody should know about replacing missing teeth.